Pays-up Marketing Services Review: Legit or Scam? Is Pays-up Marketing legit or scam? Read on and find out. It seems life is rough for Joed Baron and friends. His Yeheey (Yeheey.biz) is dead. And, Yeheeybizfriends is starting to fall. Well, what do you expect from scam businesses? Nothing. Only the founders and early promoters will make a lot of money from them. But, beware! Baron is a brilliant businessman. Perhaps he realized that the “Yeheey” brand would never work after the SEC advisory. Hence, it’s better to move on and create another one. Our dear reader, let us welcome Pays-up Marketing Services. It’s the latest venture of Joed Baron and friends. Do you want to know how Pays-up Marketing work? Can you make money with this new business? Is it legit or scam? Find out in this article. Pays-up Marketing Services is a pyramid scheme. It’s a scam. Income of members comes from the payment of recruits. Pays-up’s ambitious description of their company is found on their website. It claims to be a unique and online income-generating machine. Interesting, isn’t it? But how unique is Pays-up? You will realize it is unique because there are pages on the website you will not understand. Like that below. Pays-up is born to pioneer and brings a quality platform with unlimited opportunities. It wants to be the No.1 online marketing service provider in the Philippines. And, to the whole universe as well. Sounds good, right? 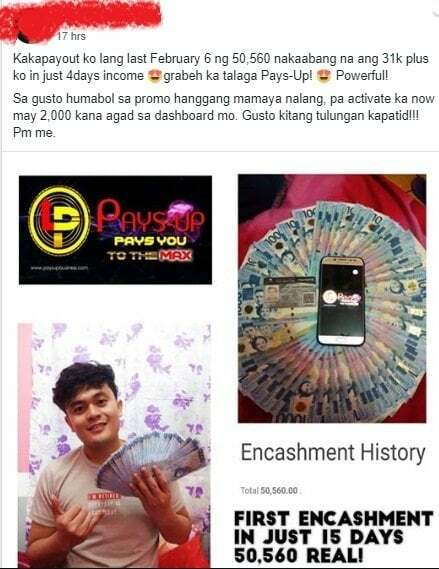 I guess you are excited to know more about this income opportunity. As you can see it’s a unique online income-generating machine. Pays-up can provide you with unlimited money as they claim to be. Pays-up does not have products or services to sell. The founder said the company offers e-loading, ticketing and bills payment services. However, these do not exist on their platform. Granted, they offer such services. Still, we are not convinced of the legitimacy of the business model. Retailing top-ups, ticketing and bills payment are common among online MLM business scams we have reviewed. If Pays-up has no products, then, what do they sell? An activation codes. For Php1,000, you must purchase an activation code so you can participate in their compensation plan. 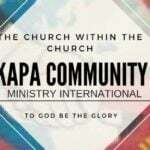 Registration is free in Pays-up. But, to make money, you must activate your account. It’s a nice business idea, isn’t it? Not really. It’s the same strategy used in PlanProMatrix, Unity Wealth, Yeheeybizfriends, Unliflex, and Paysbook. These so-called online businesses are pyramid schemes. One day, these scams will offer tangible products. However, that doesn’t mean they are legitimate. The more you recruit, the more money you have. Recruiting is the name of the game in Pays-up. Although it offers sign-up and video rewards, the company emphasizes the referral side. Here’s how you can make money with Pays-up. Baron made the compensation plan appealing to the prospects. So, he created some generous ways of earning. Imagine if you can earn Php500 just by signing up. Who wouldn’t want that? Maybe you could create more accounts and get your unlimited Php500. The sad thing is you cannot get the reward unless you activate your account. What a bait! Remember, activation requires you to pay Php1,000 for the code. You can watch video ads and earn. Pays-up pays Php25 for each video ad. However, viewing is limited to 10 ads per days up to 6 days. Referral is the lifeblood of Pays-up. Every time someone you sponsored activates his account, you get Php100 of his activation fee. The referral income is unlimited if you can invite unlimited persons. Sadly, that is not the case for most people. There is always be an endpoint. 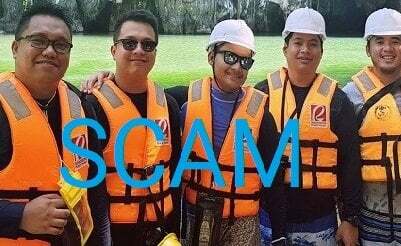 That is the time when the public will no longer honor your Php500-sign-up reward bait. Hence, recruiting new prospects is impossible for you. Make Php200 every time you have one left and one right sales team. You can earn only up to PHp8,000 per day. Get 10% of the pairing income of your 1st, 2nd, and 3rd level teams. Earn 10% of the binary income of your 1st, 2nd, and 3rd placement uplines. 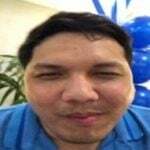 Earn Php15 from your indirect referrals from 2nd level up to the 15th level. Facebook and YouTube are the most popular platforms for Pays-up promoters. Try to join some Philippines online business groups so you will see their dubious advertisements. To entice the prospect, a Pays-up member will include in his post a promise of easy money. And, a high return in a short time. Pays-up targets the vulnerable who dreamed of earning extra money online. Pays-up Marketing is a pyramid scheme. Thus, it is a scam. In this business, the only way to make a lot of money is to recruit. The company has no products or services to offer. Instead, it collects your money so that you can join the recruitment scheme. Then, a portion of the payment goes to your sponsor. If you dig deeper, you will realize that the business is financed solely by the entry of recruits. People who join a pyramid scheme will be punished according to laws and regulations. It is illegal in most countries to operate one. Do you want to promote a business owned by a former scammer of Yeheey? Pays-up was born because Yeheeybizfriends and Yeheey.biz no longer work for Baron. Easy money. High returns. Online business. These are the promises of Pays-up Marketing promoters. Yet, this company does not have products to sell. What do they offer? A bunch of activation codes so you can join the recruitment scheme. After paying Php1,000, you can invite others into the platform. In return, you get a portion of the payments of your referrals. Pays-up Marketing is a scam. It’s a pyramid scheme. It makes money from the payment of recruits. The company is designed to enrich the founders and top of the pyramid promoters. This is done at the expense of the new members at the bottom of the pyramid. Avoid this company at all cost. Moreover, we encourage you to report its activities to DTI or SEC. Please share this article for public awareness.